Brainerd International Raceway, restating its commitment to motorsports despite losing one of its owners recently, is moving forward with the 2019 racing season, including the Lucas Oil NHRA Nationals in August. 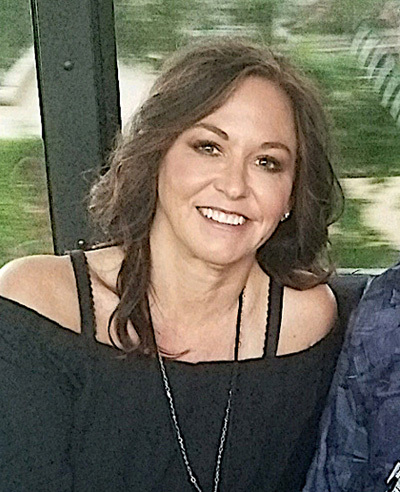 Owner Kristi Copham, who unexpectedly lost her husband Jed last November in a boating accident, has stepped into the track's leadership role and will guide BIR's operations as it prepares for the 2019 season, which starts in April and includes another full schedule of motorsports that extends into October. "We know there are a lot of questions out there about BIR's future now that Jed's gone, but we want to assure everyone - racers, sponsors, vendors, partners and fans - that it will be business as usual this year," Copham said. "I'm blessed to have an excellent management team behind me, a great race crew and amazing drivers and fans who have supported us and our racing program throughout the years, especially during the last two months. We owe it to them to keep Jed's legacy alive." Her new role doesn't phase Copham, she said, because she's been very involved in the track's daily operations ever since she and Jed bought BIR in 2006. Together, they developed a vision for the track and invested heavily in most areas of the operation but specifically in capital improvements to the race tracks, the infrastructure and the ticketing processes. The first event for 2019 is BIR's annual Racer Banquet, which is scheduled for Feb. 23 at Arrowwood Lodge in Baxter. The event is a chance for the track to honor individuals for their contributions to the track's racing program. It's also an opportunity to showcase the 2018 champions of the Bracket Drag Racing Series and the Muscle Car Series. The race season starts in earnest April 26-28 when the Nord Stern Porsche Club of America rents the track for its annual club event. That will be followed by a mix of events that feature drag racing, road racing, autocross, drifting, Superbike racing, watercross, endurance racing, car club events, BIR Performance Driving School dates and much more. The 2019 schedule is nearly complete and available at www.BrainerdRaceway.com.